If you're a business or school on the hunt for VFX stock footage, it's your lucky day. Our product library has over 2500+ VFX stock footage, making it the largest VFX stock footage library in the world. You can buy the vast amount of stock footage individually, through collections and bundles, or by purchasing the ActionVFX Drive, giving you the entire latest library on a drive. Our team understands that while an ActionVFX Drive contains the entire footage library, new product releases are missing from the drive you purchased. Your drive is then outdated, and access to the library is limited. It's time to change that. We are proud to finally unveil what we've been working on — ActionVFX Unlimited, a yearly subscription model for businesses and schools. Is the physical ActionVFX Drive not for you? We've got you covered. With the purchase of ActionVFX Unlimited, you get complete access to the ActionVFX library through an affordable yearly fee. Want the best part? You also get any new products we release throughout the year! Subscriptions will be for businesses and schools. Subscribers get access to the complete ActionVFX library, in addition to new products released throughout the year. Pricing will be a yearly payment for the subscription. Price for businesses: starting at $4,999 per year. Price for educational organizations: starting at $3,999 per year. 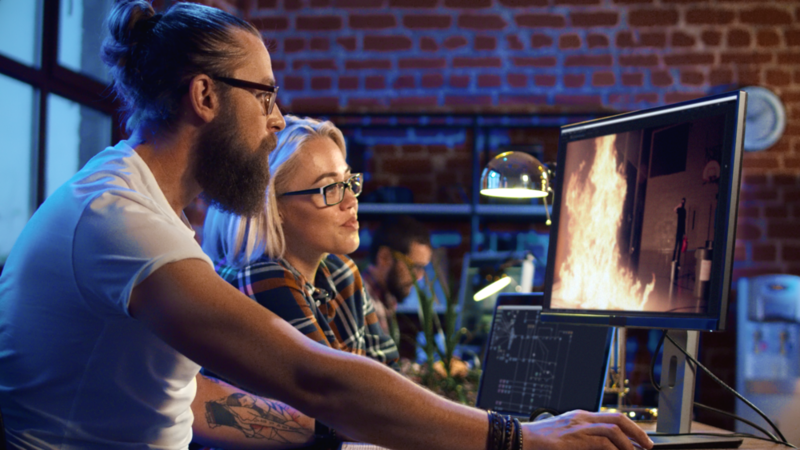 We want our customers to be equipped with the best stock footage for visual effects, and now, your access to the world's largest VFX stock footage library is Unlimited. Learn more about ActionVFX Unlimited for Business. Learn more about ActionVFX Unlimited for Education.